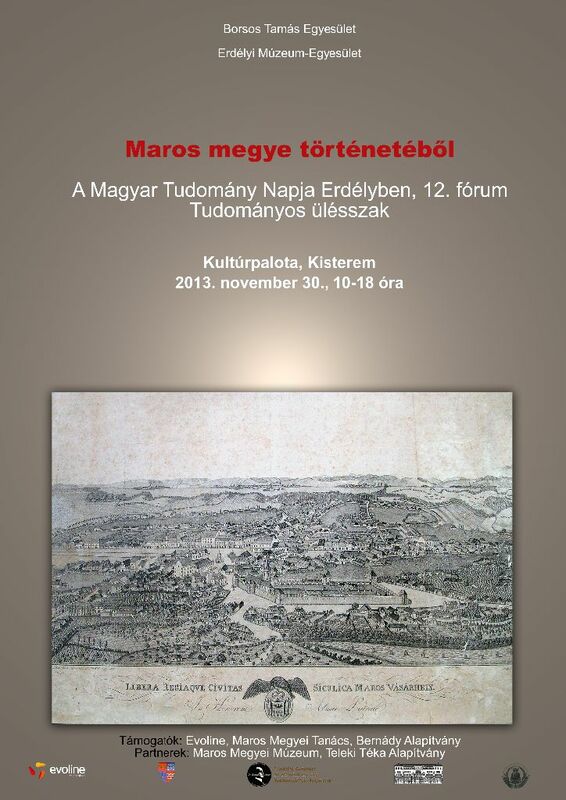 On the 30th of November 2013 a conference entitled “Maros megye történetéből. A Magyar Tudomány Napja Erdélyben, 12. fórum” (From the History of Mureș County. The Day of the Hungarian Science in Transylvania, 12th Forum) was held in Târgu Mureș. The general subject of the regional conference was the recent research from the field of history and related disciplines focusing on the territory of Mureș county. Taking into consideration the fact that the region, what it is today Mureș county, was rich even in the ancient times, this conference was a great opportunity for us to promote the traces of this heritage. Our results were presented by one of our colleagues with the paper entitled “A római limes Maros megye területén. Örökségvédelmi kihívások” (Roman Limes in the territory of Mureș county. Challanges concerning the Cultural Heritage).